If you’re looking for a qualified and reliable electrician in Leeds, Wakefield or surrounding areas, look no further! 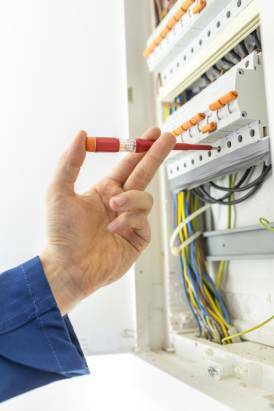 Our small, friendly team offers a comprehensive range of electrical services to domestic, commercial and industrial clients, ensuring you, your family, staff, home and premises are kept safe and secure. Established in 1989, we’ve built a great reputation for quality and customer service over the years, with many customers using our services time and time again. 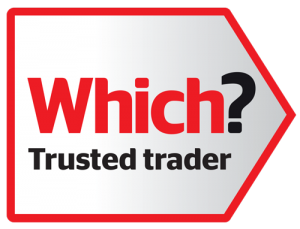 With over four decades of experience, Managing Director and chief electrician Malcolm Gammage is supported by Daniel Gammage and Martyn Harrison, and work to all current regulations to ensure your satisfaction and peace of mind at all times. Whatever your requirement or size of your project, we’re here and ready to help. While we primarily provide our electrical services around Wakefield, Leeds and Harrogate, we’ve also carried out contracts throughout Scotland, Wales, Ireland and even Bermuda! Contact us on Leeds (0113) 282 5906 or 07831 833 833, or drop us a line here and we’ll be delighted to help you! Our strength lies in our size – we’re large enough to cater for more complex installation work, but small enough to offer that all-important personal touch.